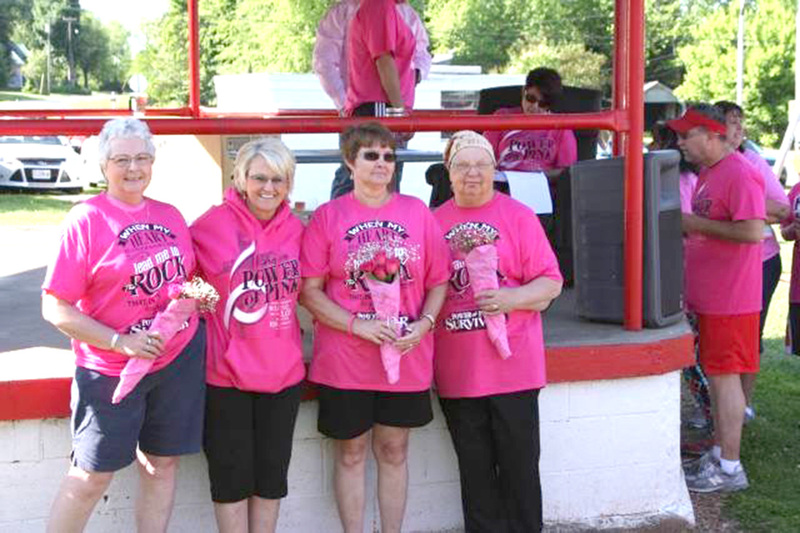 Pictured above, Janice McCracken stands with the ladies benefitting from this year’s Power of Pink walk. From left to right: Jo Baldwin, Janice McCracken, Jill Hudson and Sue Lacey. Pictured above, this year’s Power of Pink Walk participants walk to raise funds to benefit local breast cancer patients and bring awareness. Each year, the Wheaton community comes together to benefit local breast cancer patients through a fundraising walk/run. 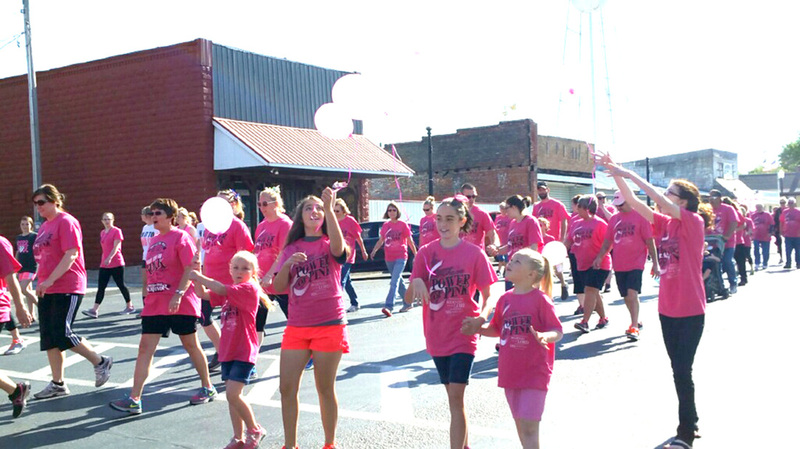 The Power of Pink Walk has grown in popularity to become a very active tradition, drawing people together. This year’s event on May 7 raised $17,503.88 and helped three ladies, Jill Hudson, Sue Lacey and Jo Baldwin. Each of the women received $5,834.62 to help them during their cancer treatments. To date, Power of Pink has helped 17 women and have raised over $62,500, a monumental amount for such a small community. On top of fundraising efforts related to entry fees and sponsorships, there were several fundraisers this year including: selling Butter braids pastry, Power of Pink Limo ride in Las Vegas during the NFR National Finals Rodeo, raffle tickets for a La-Z-boy recliner, and the Walk and auction. The fundraisers are designed to get everyone involved, even if they do not want to participate in the walk. Gene Robbins volunteered his services for the auction and many area businesses and individuals donated to make it possible. Girl Scout Troop #70621, comprised of Kylie Hardwick, Nefertiti Gautney, Abby Lasley, McKayla Lombard and Jayci Park, helped at the event, as well. Second: Scott and Nina Hatfield. Plans are already underway for next year’s Power of Pink walk. If anyone is interested in getting involved or has a suggestion for woman battling breast cancer, contact Janice McCracken at (417) 466-5401. Additional details are available online at http://www.gizmomccracken.com/.